There’s no doubt that hiring qualified people is important. Having top-notch talent who do quality work will help your company reach its goals. Unfortunately, in an effort to get hiring right, some companies have made their selection process an obstacle course. Take, for example, a prominent company in Seattle. It’s a great place to work. However, a less prominent employer in town, with whom they compete for employees, is winning the war for top talent. Is the lesser known company’s jobs and work environment better? No. They consistently rank slighter lower on Glassdoor.com. Why is the lower-ranked company winning the war for top talent? It’s simple. It’s their process. They’ve created a fast and efficient red-carpet experience for candidates. Top talent are treated with exceptional care, and are whisked through an expedient selection process. This includes one phone interview followed by one face-to-face interview. Does this mean the prominent company is more rigorous in their selection process? No, not at all. In fact, when compared side by side, both companies maintain high standards. The lesser known employer is meeting these standards quickly and efficiently. How many steps are there in our selection process? Which steps can be condensed or eliminated without sacrificing quality? What do we need to see, hear, and experience in an interview to know if someone is a fit or not? How can we do this more quickly and efficiently? Speed and quality are not mutually exclusive. A fast and efficient selection process can be thorough and effective. Which is vitally important. Talented people have choices. 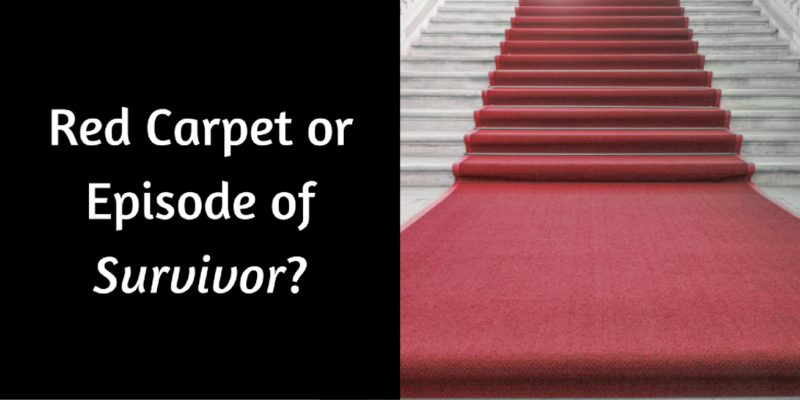 Rolling out the red carpet makes them much more likely to choose you. Celebrating may be the last thing you’d expect someone to suggest when it comes to a midlife crisis. A celebration certainly wasn’t my first thought in dealing with my emotions about turning 50 next April. That’s exactly why it turned out to be just the right thing. Yes, I just wrote the “E” word — emotions. A tricky topic to discuss, especially for men. Many men I know are more in touch with their feelings these days. However, this doesn’t mean that emotions are effortless to navigate. Especially when they relate to a midlife crisis. Having a midlife crisis just isn’t cool. That’s when men can go off the deep end. They do all kinds of crazy things, like leaving their wives for women half their age. Corvette sales get a nice bump, as do jewelry stores as they peddle more gold chains. And, let’s not forget that this is when some of these middle-aged, beer-bellied dudes start sporting Speedos. Not a pretty picture. My experience with touchy topics is that it helps to put them in the light of day. By doing that, you see them for what they are. So, what exactly is a midlife crisis? It’s a time of transition and change. It’s when we, as men, get smacked between the eyeballs with life on life’s terms. We realize, sometimes quite suddenly, just how far we’ve come in our tenure here on planet earth. Often this realization is triggered by a significant event, such as the end of marriage, kids going off to college, or a change in career. In my case, it was becoming an empty nester earlier this year. Did I leave my wife, buy some gold and a Speedo, and spring for a Corvette? No, I’m happy say. Instead, when it comes to this milestone, I’ve chosen to accept life on life’s terms. I was told some years ago that, “acceptance is the answer to all my problems today.” In that light, my turning 50 no longer seems like a crisis, and instead it has become an opportunity. Why? Because being young wasn’t always easy. In fact, at times, it was flat-out hard. Now, with lots of life tenure, I make better decisions and have broader and deeper skills. One of those is to solve problems with a process. I’ve found four ideas that have helped me seize this opportunity. These ideas have changed my mindset on my so-called midlife crisis. It’s just another time of transition, one that I’m choosing to celebrate. Idea #1: I’m owning it. Owning something doesn’t mean I have to like it. It just means I accept it for what it is. I get to accept that I miss being a dad of younger kids. I accept that staying up late means 10:00PM on many nights. I choose to accept that I’m turning 50, and the emotions that come up about it. By owning it, I’m not fighting it. Which makes it easier and enjoyable. 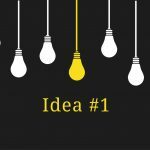 Idea #2: I’m sharing it. Sharing it didn’t start with this post. It began by sharing my feelings with my family and trusted friends. By sharing it, I’m processing emotions, working through them instead of letting them fester under the surface. These feelings, as a result, don’t the run the show. Instead of having to medicate them with a new flame or a hunk of gold hanging from my neck, they simply dissolve as I share them with people I trust. Idea #3: I’m living it. I didn’t buy a Corvette, but I did spring for a Mazda Miata convertible. It was time to dump the dad car, my Toyota Prius. With my emotions in check, I was able to make a practical choice that fit my values and needs. Because I’m accepting life on life’s terms and sharing it, I’m having fun without compromising my integrity. Idea #4: I’m laughing about it. 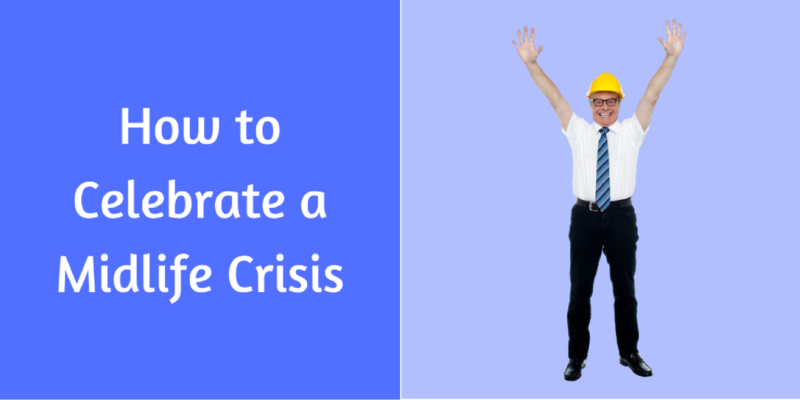 When you call something a crisis, it’s hard to laugh about it. That’s the beauty of the first three ideas. They allowed me to honor my feelings, work through them, and come out the other side with my sense of humor intact. As a result, there’s a lot to laugh about. For example, when I shared with my son that I’d bought a Miata, he said, “Only you would get the cost-effective midlife crisis car.” Had I been living this as a crisis, I’d have been upset. Instead, this had me laughing for days. One of my longtime friends, author Jay Perry, once told me that, “life is comedy, not a drama.” So true. This latest transition in my life is a great thing to celebrate. In fact, next April is also when McGraw-Hill releases my new book on a faster way to hire top talent. Even more to celebrate. You can bet I’ll be owning, sharing, living, and laughing about it every step of the way. It’s been said that time is not on our side. The latest stats back this up. According to the Dice-DF Vacancy Duration Measure, time-to-fill has risen to its highest level in 15 years. The problem is not capabilities, as there are more of those today than 15 years ago, especially the added efficiencies through technology. Nor is it available talent, as competent recruiters can always find someone to do the job. The problem is process―most hiring managers (and their staffing and recruitment vendors, if they are using them) are not working a process that allows them to hire in an instant. Yet, these very same hiring managers can buy many things they want, when they want them, from services like iTunes, Amazon and GrubHub. Needs are always more important than wants, which makes this all-time high of time-to-fill even more baffling. Time is clearly not on the side of anyone who recruits or hires. It makes people scared, scattered, scurried, and, sometimes, even stupid. Too much of it allows them to over-think and under-perform. This causes real harm as jobs go unfilled, backlogs increase, overtime grows, efficiencies plummet, customers complain and revenues and suffer. Staffing and recruitment services, in particular, have a unique opportunity to make their buyers smarter by helping them engage in a nimble process where they get the talent they needed yesterday right now. There is lots of talk about differentiation amongst people in the staffing business; here’s one that’s not only distinct, different and powerful, but also solves the problem of out of control time-to-fill. Competitive golfers and dancers keep their competition top of mind, knowing their influence can undermine them at any moment. Just the noise from these competitors can cause them to slice a drive or miss a step, creating a lost opportunity which ends up losing the match. The competition ends up stealing their trophies, their winnings and even their self-confidence and pride. The real power of these competitors comes from where they live—right between the ears. That’s why we often hear people saying they are competing with themselves, as they know that the only real competition, the thing that can get in their way, is their own thinking. Just like these athletic professionals, competition for customers and candidates is not on the outside, but in our own competitive thinking. The other companies who provide similar services are not competitors, but merely potential distractions. What they do, how they do it, the price they charge and any games they play only matter if we let it. There is enough noise that comes from the critic that lives in the human head. Isn’t it best not to add to the cacophony by simply ignoring what other people do? Take No Prisoners is a free biweekly memo from Scott Wintrip that explores how Radical Accountability prospers companies and changes lives. Instead of taking people hostage with outdated, heavy-handed, and ineffective methods of management, measurement, and motivation, Radical Accountability focuses on creating an unwavering responsibility for getting done what matters most. That’s great! How much are you doing that? Chances are there is a gap between what he says he knows and what he’s doing with that knowledge. The divide between knowledge and action is plaguing companies across the globe. The dangerous assumption that just because someone knows something automatically means he’s doing it keeps him from assessing his actual behavior. Managers who don’t look closely at this gap are missing the opportunity to ensure that people are always doing the next right thing. The need to get “back to basics” is a symptom of this common problem. Imagine what would happen if people stayed with those basics. And why shouldn’t they? If they are so basic, there should be no excuse nor any barriers to doing them. The real issue, more often than not, is the Knowledge-Action Divide. Bridge that gap and you’ll not only close a mental loophole, you’ll close more deals and retain more customers. This Week’s Radical Accountability Activating Action: Take time this week to identify the gaps between knowledge and action. Next week, start closing those for good. Every day I provide pithy pieces of advice and wisdom. Join the growing crowd who read these gems every day. Check out my podcast series called Simply Scott on iTunes. Take No Prisoners is a free weekly memo from Scott Wintrip that explores how Radical Accountability prospers companies and changes lives. Instead of taking people hostage with outdated, heavy-handed, and ineffective methods of management, measurement, and motivation, Radical Accountability focuses on creating an unwavering responsibility for getting done what matters most. People don’t just wake up one day and suddenly select a random vendor when making a purchase. A confluence of factors makes buying possible, with one of the most important being Brand Consciousness. Buyers don’t know that the company exists (Brand Unconsciousness). They’ve forgotten they exist (Brand Amnesia). They don’t yet understand the true value of their offerings, especially when compared to competitors (Brand Dubiety). Brief: Messages left are no longer than 30 seconds total. This includes a brief introduction, a compelling question or statement (such as a result recently achieved), and contact information (repeated twice to ensure accuracy). Polite: Do not bash the competition, chastise the prospect for not calling back, or have an arrogant attitude or tone. Do call persistently, which for many people means about once each week. Interesting: Make a different statement or ask a different question in each message. Questions and statements should be provocative; the kind of question or statement that would stick in someone’s mind. The goal is to begin to deliver value from the very start, and that begins with leaving valuable, interesting messages. This Week’s Radical Accountability Activating Action: Apply the Attractive Persistence Plan to counteract any instances of Brand Unconsciousness, Brand Amnesia, or Brand Dubiety. You can learn more about the Attractive Persistence Plan by reading Sales Yoga. While less is more is a popular statement, many people find that saying it is much easier than living and working in this manner. Achieving better sales, recruiting better talent, and being more effective as a leader requires doing less while focusing on always taking action on the next right thing. Identify which aspects of your job you are attempting to perform at or near perfection. Instead of investing the extra time on getting each item done perfectly, focus on just getting each of them right. Perfection is overrated and often takes time away from getting other equally important things done. Focusing on success, not perfection, not only gets the job done, and done well, but allows for doing much more in much less time. Are You Shaken or Stirred? While James Bond may have gotten a better martini by having it shaken, not stirred, this approach to leadership creates an unpalatable result. Too many leaders allow life to shake them from their paths as they react to what goes on around them. Better managers and business owners are those who keep their focus on their beliefs, mission, and desired outcomes, using events in life as a catalyst for achieving those outcomes. Leaders who are stirred instead of shaken know that in selling, we must see every “no” as being that much closer to the next “yes.” In service and operations, they choose to view every challenge as an opportunity to exceed someone’s expectations. And, as leaders, they know their job is to create a strategy, adjust that strategy as needed, and unwaveringly hold true to the course they charted. Living life with unshakeable resolve doesn’t require being heroic or deadly, like a Bond kind of character. It simply depends on persistence, even when the odds seem against you. This Week’s Radical Accountability Activating Action: Practice having unshakeable resolve. Yes, I meant to say practice. Having it is not as simple as flipping a switch; it’s like a muscle that gets stronger the more you use it. Fog is quite common this time of year, so vigilance while navigating to destinations is of utmost importance. This includes using headlights, taking corners with more care, and staying alert and present to our surroundings. If we’re navigating by boat, we’re likely to see the beacon of a lighthouse or, at least, hear the foghorn, alerting us to the dangers around us. Companies experience their own fog including market uncertainty, shifts in customer attitudes, competitive pressures, changes in buyer needs, and unanticipated problems. Managers, being the keepers of the corporate lighthouse, must diligently keep all of the navigational equipment in good working order and that it is used properly and consistently. A focus on acquiring the right business with good customers is achieved only if the light beam of corporate identity is constantly shined in the proper direction. Thorough communication to people throughout the company only happens if foghorn devices, like dialogues, documentation, meetings, and emails, are used in effective and efficient ways. Adequate fuel to power the business and its lighthouse, in the form of the right employees doing quality work, requires that managers are always looking ahead, hiring ahead, and staying ahead. All of this depends on equipment, like phones and computers, being in good working order since, without that, the company could suddenly find itself in the dark, unable to navigate its way past the dangers and challenges ahead. This is why maintaining Radical Accountability, an unwavering responsibility for getting done what matters most, is the most important job of a leader. This Week’s Radical Accountability Activating Action: Fog happens, but it doesn’t have to ruin your day or worse, sink your ship. Keep the light of Radical Accountability shining bright to ensure that your company and staff circumnavigate through every opportunity and obstacle. While there’s some truth in the statement, there’s also a trap. Just getting through something, even though it can build character, is a hard way to live a life or run a business. Anytime we’re knocked down, just getting back up as a stronger version of our current selves is not a good plan. Better to stay standing and avoid being “killed” again. Companies where circumstances continually improve are led by people who focus not just on knowledge, but on the application of that knowledge. They understand that what doesn’t kill you, when you apply the lessons, makes you smarter. That’s why Netflix rebounded after massive customer cancellations, Starbucks learned from its mistakes to become a stronger version of itself, and Dyson went from over 5,000 failed prototypes to a multibillion dollar business. These companies had leaders who understood that knowledge isn’t power, but that applied knowledge gives you tremendous power, leverage, and momentum. How will I simply, quickly, and thoroughly resolve this problem? What lessons are there in this situation? How will I apply them? And by when? This Week’s Radical Accountability Activating Action: Save this article for the next problem, mistake, or issue that comes your way, As you apply these questions, bounce them off your colleagues, business peers, or a trusted advisor, as it can be hard to see all of the answers and possibilities when you’re busy getting back up and dusting yourself off.